Charlie Higson can be quoted as saying – tongue in cheek - of his new series of books about the young Bond … “I can’t help but suspect they’re going to be the greatest books ever written, Fleming aside.” (The Times Magazine Sat. 26 February 2005). The genre of novels for the 9-13 age range has expanded since the advent of J K Rowling’s stories of Harry Potter, but don’t expect the jokes, gags and putdowns on every page as in Harry Potter and the Order of the Phoenix as you read SilverFin. There is no witchcraft and no wizardry. However, humour and high drama are evident. Chapter 17 opens with a clever repartee and if it is true that the measure of a good book is that it makes you laugh out loud in public, then Higson has truly succeeded. The book comes like a breath of fresh air for the target audience and introduces them to an era of which many may not have prior knowledge, that of 1930s Eton. It is reminiscent in places of the Antony Buckeridge Jennings and Derbyshire stories that children of the 1950s grew up with. 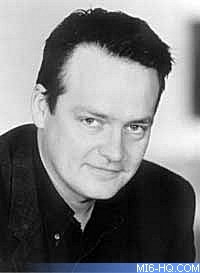 Perhaps Higson himself was an avid reader of them, or listened intently to serialisations on the long lamented Children’s’ Hour; the book would serialise well on Radio 4’s Go For It. Sean Wright’s novels about Jesse Jameson are more akin to those of Rowling, but a common factor emerges with the feature that the main character is a teenaged orphan, the young James Bond. He is discontented with the prospect of boredom during the Easter break from Boarding school (Eton does not quite equate with Hogwarts, more with the schooldays of the fore mentioned Jennings and Derbyshire). Social and moral issues, including the death of a parent, are raised in the book. The older and very street-wise Red Kelly and James have diametrically opposed social backgrounds but the reader may be led to question whether or not they are both orphans and thus share a common ground. Higson alerts the reader to bullying, cheating, friendship and the divide between the rich and poor end of Chapter 21. The coiled serpent of sexuality is not unleashed in James in this novel - having been kissed on the mouth by Wilder Lawless his reaction was to wipe his mouth. However, he is aware of the physical attributes of Wilder and Martini (her horse). There is an opportunity for structured discussion and debate following these sections of the book and could find itself a useful tool for Literacy and /or PSHE&C teachers. Such topics run parallel to the works of Jacqueline Wilson who also writes successfully for the Key Stage 2 and 3 audiences (“Key Stages” are part of the British education system). High drama scenarios create a sense of anxiety in the reader, as Higson’s use of language is so explicit; there is no question of how the young James felt in Chapter 17 when he and Red Kelly briefly found a place of safety. Themes and ideas are cleverly linked throughout the book; Uncle Max had survived by eating raw turnips at one stage of his life and when James opens a sack and finds the contents to be turnips, Higson neatly reminds us of the event by stating that James’ reaction was that: “He smiled and shook his head”. We are treated to historical facts with the mention of Hitler and war and there is a strong parallel between the ‘super race’ theme and that of Mary W Shelley in her novel of Frankenstein, or the Modern Prometheus, of 1818. Similarly we gain an insight into the social functioning of the Laird of the Manor and the ‘blooding’ of the young George Hellebore. The bullying and ‘fagging’ at public school provide both a social and an historical perspective to the novel. Greek mythology is referred to with the use of simile re the eels being ‘like the writhing hair of some underwater Medusa.’ We also have reference to Beatrix Potter and Peter Rabbit, the literature of the era of the young James Bond and his creator Ian Fleming. The chapter entitled ‘The Gadarene Swine’ questions our biblical knowledge whilst the mysteries of the workings of the 4-stroke engine are explicitly explained so that even the non-mechanically minded of the readers can understand its intricacies. Higson spends time on this as the car is an Aston Martin and is an important link through the young Bond’s life into adulthood. In the same vein, we are presented with a hint of his handsome, good looks and the importance of featuring striking women in his adult life. If we read SilverFin with prior knowledge of Ian Fleming’s writing or films of his novels we can see the influence of James’ formative years, not forgetting the importance of Uncle Max in the young James’ life, on the adult James as 007. 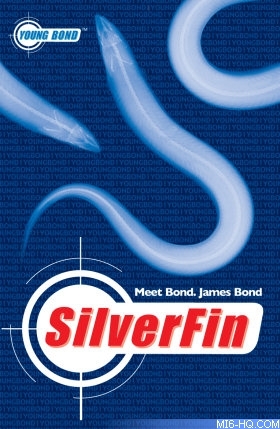 SilverFin is written in the style of an Ian Fleming novel and like the Harry Potter stories is presented in three parts, but unlike the writing of Rowling, has an introductory passage that is integral to the novel. It will appeal both via style and content to the target group and their mature relatives alike. Readers are likely to eagerly await the second Young Bond Adventure due out in January 2006. Reviewer Lynne Yeagers has been teaching English for over thirty years to 9-18 year-olds in Lincolnshire, UK. This review was based on the British edition published by Puffin.